The LEE Filters 100mm System 0.3 Neutral Density Standard Filter reduces exposure by 1 Stops equally across the entire frame. The LEE Filters 100mm System 0.45 Neutral Density Standard Filter reduces exposure by 1.5 Stops equally across the entire frame. 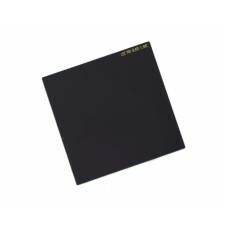 The LEE Filters 100mm System 0.6 Neutral Density Standard Filter reduces exposure by 2 Stops equally across the entire frame. The LEE Filters 100mm System 0.75 Neutral Density Standard Filter reduces exposure by 2.5 Stops equally across the entire frame. The LEE Filters 100mm System 0.9 Neutral Density Standard Filter reduces exposure by 3 Stops equally across the entire frame. The LEE Filters 100mm System 1.2 Neutral Density Standard Filter reduces exposure by 4 Stops equally across the entire frame.